Have you noticed the increased presence of radio ads, TV commercials, YouTube ads and even social media ads for template-based, “built-it-yourself” website design services? I recently saw an ad featuring a Toronto Raptors player Norman Powell promoting how easy it is to build your website with their service. On YouTube, you have big names like Karlie Kloss, James Veitch and Cord Hosenbeck monopolizing ad space for the last hundred or so YouTube videos I’ve watched. This had me wondering how profitable these companies must be if they can afford a marketing budget of that calibre. In all honesty there is a reason behind this. These big name DIY web design services offer a pre-built tool, that is somewhat customizable, easy to use and can get your website up and running in a matter of hours. Yes it does. And for 90% of their users, it’s a great web design tool that will meet all their needs. However, why is it that we still get a dozen or so clients every year that are fed up with these DIY services and want a better quality service with respect to a website design solution? Here is some reason why and certain important points to consider when choosing your web designer in Barrie, ON or other parts of World. Pick your favorite search engine and see the nightmare stories related to the hosting services from this discount providers. When you are offering mass hosting you are crowded onto servers the likes of a morning rush hour subway ride to work. Your website becomes slow and boggy and risks being penalized from a search engine optimization point of view. So always try to hire best Web host. Big name companies like these DIY websites are always under attack. Hackers usually target big companies because the potential reward is a lot greater. Look at the recent hacks of Equifax, Verizon, Yahoo and Uber. Many of these had information stolen, data held for ransom and even data being completely wiped out! This brings me to my next point. Have you ever been in a support queue for one of these companies? Call the support line, put the phone on your desk, brew yourself a coffee (perhaps even grind your own beans!) and brace yourself for an extremely impersonal, lengthy and unhelpful phone call. Many of these support agents are not only overseas but have no quality control system in place. They just need to get you off the phone as quickly as possible. Most of the Peoples I have seen who no longer want to use a DIY website design service mainly complain at how difficult it is to really make their website look like their own rather than looking the same as some 100,000 other websites. Sure you can change fonts, colours and images but at the end of the day, you have the same website as nearly everyone else. As business owners we’re always trying to stand out and attention to detail is what will really convert that viewer into a customer on your website. I had a client who was paying well over $500 per month from one of these DIY web design services. Can you believe it? As a web designer you must be screaming bloody murder hearing this astronomical cost. Considering your typical website developer can put together a basic HTML website (similar to what these services offer) anywhere between $1000 to $2500) it’s ridiculous to think that you would spend such an amount. 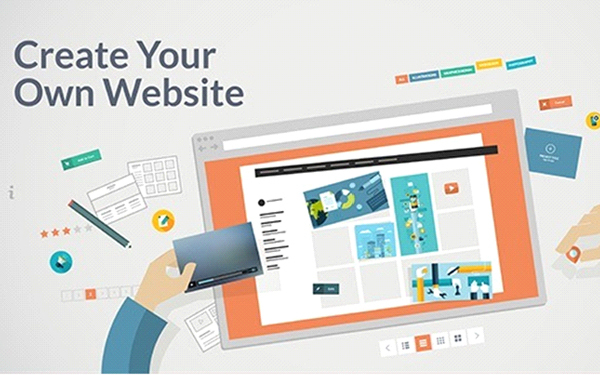 By the time you add on all the premium features, data backup, extra space, bells and whistles, these affordable DIY web design services can cost you twice or three times as much as hiring a web designer to deliver a customized website. In conclusion you really have to evaluate your needs. Are you a running a fundraiser or want to sell some crafts or don’t have a budget for a proper website? If yes, then maybe this is your best alternative. Do you own a professional business in a competitive market and need to stand out above your competitors? If yes, than the time and money you will spend on these DIY websites will be for nothing.